The Desperado gunbelt with holster is a buscadero style gun rig that fits most single or double action revolvers. 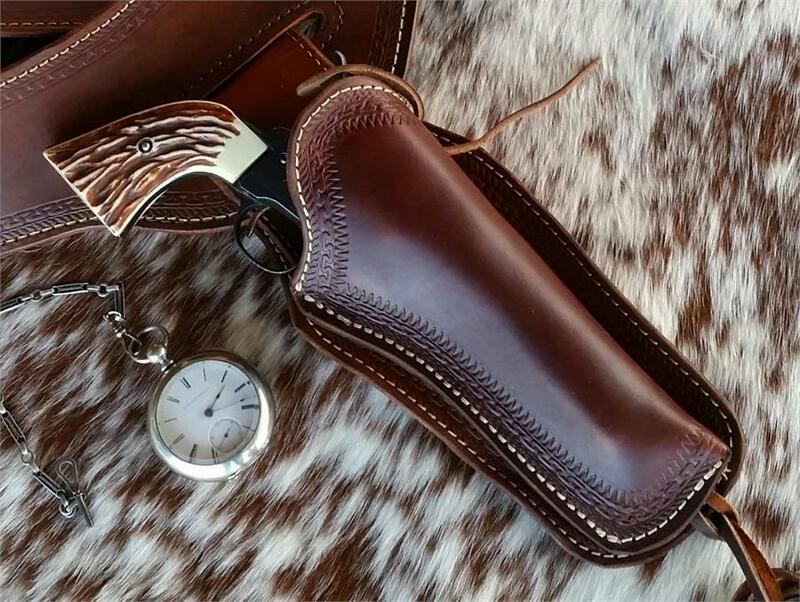 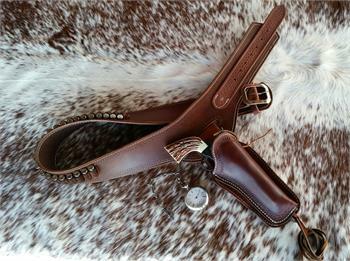 Available plain or Border tooled as shown with a silver buckle. Fully lined, available in Black, Brown or Natural with 3" wide belt and your choice of straight left or right draw. 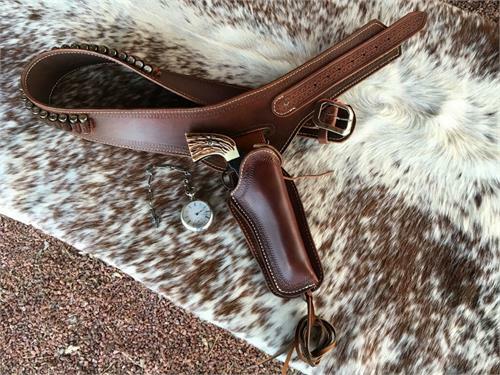 Handcrafted to order and made in the USA.